Malacca (Malay: Melaka; Chinese: 马六甲), dubbed "The Historic State", is a state in Malaysia and located in the southern region of the Malay Peninsula, next to the Straits of Malacca. The state borders Negeri Sembilan to the north and west and Johor to the south. The exclave of Tanjung Tuan also borders Negeri Sembilan to the north. Its capital is Malacca City, which is 148 kilometres (92 miles) south east of Malaysia's capital city Kuala Lumpur, 235 kilometres (146 miles) north west of Johor's largest city Johor Bahru, and 95 km (59 miles) north west of Johor's second largest city, Batu Pahat. This historical city centre has been listed as a UNESCO World Heritage Site since 7 July 2008. Malacca was ceded to the British in the Anglo-Dutch Treaty of 1824 in exchange for Bencoolen on Sumatra. 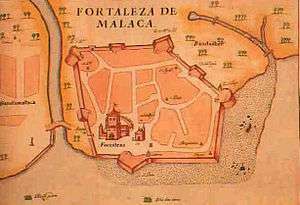 From 1826 to 1946, Malacca was under the rule of the British, first by the British East India Company and then as a Crown Colony. Due to the dissactisfaction with the British's jurisdiction over Naning, Dol Said, a local chief and the East India Company had a war from 1931 to 1932, which resulted a decisive British victory. It formed part of the Straits Settlements, together with Singapore and Penang. Malacca went briefly under the rule of Empire of Japan in 1942-1945 during World War II. The state of Malacca covers an area of 1,664 km2 (642 sq mi). 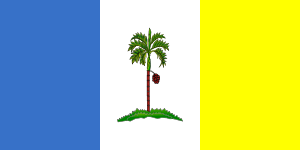 It sits upon the southwestern coast of the Malay Peninsula opposite Sumatra, with the state of Negeri Sembilan to the north and west and Johor to the east. Malacca is situated roughly two-thirds of the way down the west coast, 148 km (92 mi) south of Kuala Lumpur and 245 km (152 mi) north of Singapore and commands a central position on the Straits of Malacca. With the exception of some of its small hills, Malacca is generally a lowland area with average elevation below 50 meters above sea level. The Malacca River roughly runs through the center line of the state from north to south. Kesang River acts as the eastern border of Malacca with Johor. The offshore Besar Island, Upeh Island and Undan Island are part of Malacca which are accessible by jetty from Malacca mainland. The peninsula of Tanjung Tuan is an exclave of the state, situated on the coast of Negeri Sembilan which it borders to the north. Malacca has several beautiful beaches edged with palm trees which has brought a number of resorts along the coast. Famous beaches are Tanjung Bidara Beach, Klebang Beach, Puteri Beach and Pengkalan Balak Beach. The climate of Malacca is hot and humid throughout the year with rainfall occurring mostly between October and March. Temperature ranges generally between 30-35 °C during daytime and between 27-29 °C during nighttime. In 2013, Malacca had a GDP of MYR22,646 million with GDP per capita of MYR34,109. It had 3.2% GDP growth in 2013. Inflation rate in 2012 was 1.6%. As of 2015, the Malacca State Government has an outstanding MYR861.7 million of loan to the federal government. In 2014, the state government's reserve amounted to MYR206.61 million. The unemployment rate in 2014 was 0.9% or around 3,500 people. As of 2012, service sector contributes to the largest share of economy in Malacca accounted for 46.9%, followed by manufacturing (43.5%), agriculture (6.5%), construction (2.9%) and mining (0.1%). In terms of number of workforce, as of 2013, there were 275,000 people working in the industrial sectors, 225,000 people working in the service sectors, 35,000 people working in the entrepreneurship sectors and 12,300 people working in the agricultural sectors. Malacca has an estimated population of 931,210 as of 2016 with an average annual population growth of 2%. As of 2016, 27% of the population aged below 15 years old and 8% aged above 60 years old. The ethnic composition of Malacca is Malays (58.7%), Chinese and Peranakan (28.5%), Indians and Chitty (5.1%) and the minority Kristang, Dutch Eurasian and Temuan community. Indians in Malacca are the Tamil people in which many of them used to work at the rubber plantation. However, many of them now work in the jewellery, fabrics, retailers, merchants and money lender sectors. Many of them reside in Little India. There is also Chitty Village for the minority Chitty people which houses the Chitty Museum. 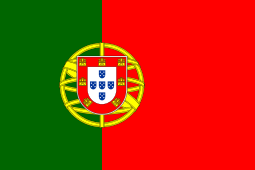 A population of Portuguese descent, who speak a Portuguese creole, are the descendants of colonists from the 16th and 17th centuries. Even to this day, many of the traditions originating with the Portuguese occupation are still practised, i.e. "Intrudu" from Portuguese word "Entrudo" (a water festival that marks the beginning of Lent, the Catholic fasting period), "branyu" (traditional dance), "Santa Cruz" (a yearly Festival of street celebrations). Many of them settle down around the Portuguese Settlement area, which has a population of about 6,510 residents. Malacca also has a football team known as Melaka United representing Malacca in the Malaysian football league. The Melaka football team won the first Malaysia Premier League title in 1983, in addition they were the champion of the third division of the Malaysia football league, FAM League Cup, in 2015 before won the second Premier League title a year after it. Melaka United uses the Hang Jebat Stadium in Krubong as their home ground with a capacity of 40,000 spectators. Malacca has two boarding schools, Sekolah Menengah Sains Muzaffar Syah (MOZAC) and Sekolah Berasrama Penuh Integrasi Selandar (SBPIS). The Ministry of Education of Malaysia enrolls students based on their Ujian Penilaian Sekolah Rendah (UPSR) and Pentaksiran Tingkatan 3 (PT3). Malacca also serves as a centre for international education in the region. Multimedia University (MMU) at Bukit Beruang. part-time study is available at Open University Malaysia (OUM), while those who wish to obtain an academic diploma can enroll at University of Malaya Centre for Continuing Education (UMCCE) at Sinar College. Association of Chartered Certified Accountants (ACCA) lectures and examinations are provided at Sinar College at Malacca City. Sinar College is the only institution in the state that offers complete accounting education. Sinar College is the only approved training centre for tourism courses. 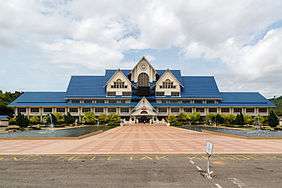 Other academic institutions include International College of Yayasan Melaka (ICYM), Melaka International College of Science and Technology (MiCoST). Tourism is a booming industry in Malacca. It is a popular travel destinations for Singaporeans during the weekends. Malacca has adopted as its slogan, "Visiting Malacca Means Visiting Malaysia" ("Melawat Melaka Bererti Melawati Malaysia"). Malacca has natural-related tourist sites, such as Ayer Keroh Lake, Bukit Batu Lebah Recreational Forest, Cape Rachado, Garden of Thousand Flowers, Klebang Beach, Malacca Botanical Garden, Malacca River, Malacca Tropical Fruit Farm, Paya Laut Linggi Recreational Forest, Pengkalan Balak Beach, Puteri Beach, Saint Paul's Hill and Sungai Udang Recreational Forest. Malacca has also hot springs, namely Gadek Hot Spring and Jasin Hot Spring. In June 2012, the Macau Gallery Malacca was opened at Peringgit, Malacca under the government of Macau. In April 2015, the Malacca State Government decided to build the MYR300 million Malacca Information Centre which will be located in Zhuhai, Guangdong. In June 2007, the Casa Cuba was opened at Peringgit, Malacca. 1 2 Ricklefs, M.C. (1991). A History of Modern Indonesia Since c.1300, 2nd Edition. London: MacMillan. p. 19. ISBN 0-333-57689-6. 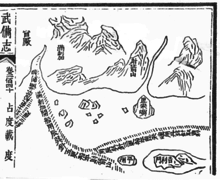 ↑ Jin, Shaoqing (2005). Office of the People's Government of Fujian Province, ed. Zheng He's voyages down the western seas. Fujian, China: China Intercontinental Press. p. 58. ISBN 978-7-5085-0708-8. Retrieved 2 August 2009. ↑ Royal Asiatic Society of Great Britain and Ireland. Straits Branch, Reinhold Rost (1887). Miscellaneous papers relating to Indo-China: reprinted for the Straits Branch of the Royal Asiatic Society from Dalrymple's "Oriental Repertory," and the "Asiatic Researches" and "Journal" of the Asiatic Society of Bengal, Volume 1. LONDON: Trübner & Co. p. 252. 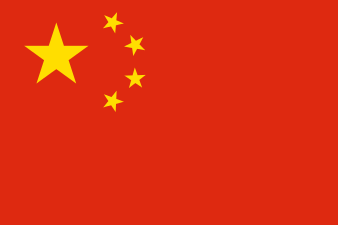 Retrieved 9 January 2011. report that the envoys of their country, who had returned from China in 1469. had been driven by a storm on the coast of Annam, where many of their people were killed; the rest had been made slaves, and the younger ones had further undergone castration. They also told that the Annamese now occupied Champa, and that they wanted to conquer their country too, but that Malacca, remembering that they all were subjects of the emperor, hitherto had abstained from reciprocating these hostilities. "At the same time the envoys with the tribute of Annam arrived also, and the envoys of Malacca requested permission to argue the question with them before the court, but the Board of War submitted that the affair was already old, and that it was of no use to investigate it any more. When therefore the envoys of Annam returned, the emperor gave them a letter in which their king was reproved, and Malacca received instructions to raise soldiers and resist by force, whenever it was attacked by Annam. ↑ Ricklefs, M.C. (1991). A History of Modern Indonesia Since c.1300, 2nd Edition. London: MacMillan. p. 23. ISBN 0-333-57689-6. 1 2 Ricklefs, M.C. (1991). A History of Modern Indonesia Since c.1300, 2nd Edition. London: MacMillan. pp. 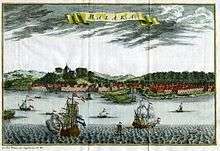 23–24. ISBN 0-333-57689-6. ↑ Borschberg, P. (2015). Journal, Memorials and Letters of Cornelis Matelieff de Jonge. Singapore: NUS Press. pp. 65=74. ISBN 978-9971-69-798-3. ↑ "Elevation of Melaka,Malaysia Elevation Map, Topography, Contour". floodmap.net. ↑ "Beautiful beaches and island in Malacca, Malaysia". melaka.net. ↑ "Malacca Climate Normals 1961–1990". National Oceanic and Atmospheric Administration. Retrieved 7 May 2014. ↑ "Melaka (Federal State, Malaysia) - Population Statistics and Location in Maps and Charts". citypopulation.de. ↑ Juli Paul. "Malacca business, the Malacca economy & the booming tourist industry". spy.my. ↑ "Melaka expects RM5.4b in green technology investments by 2020". themalaymailonline.com. 1 2 "Department of Statistics Malaysia Official Website". statistics.gov.my. ↑ Super User. "Economy In Melaka". pknm.gov.my. 1 2 Super User. "E-MELAKA". emelaka.gov.my. ↑ "The historic state and city : Melaka today". melaka.net. ↑ "PETRONAS Penapisan (Melaka) Sdn Bhd". petronas.com.my. 1 2 "Community In Melaka". melaka.gov.my. ↑ "Fact & Number". melaka.gov.my. ↑ "Malacca's most famous Malay village, Kampung Morten, is named after a british-era collector of land revenue". Malaysia Premier Property and Real Estate Portal. ↑ "Heritage being destroyed to make way for Malacca Gateway, claims Portuguese settlement". The Rakyat Post. ↑ "Travelling information one should know while in Malaysia". melaka.net. ↑ "Melaka State Sports Council (MSNM)". melaka.gov.my. ↑ Super User. "Hang Tuah Stadium". stadiummelaka.gov.my. ↑ Super User. "Profile". stadiummelaka.gov.my. ↑ Golfasian (16 December 2013). "Golf Courses in Malacca". malaysiagolfholiday.com. ↑ Super User. "Chronology". perpustam.gov.my. 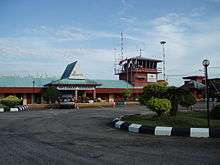 ↑ "Melaka International Airport". AmazingMelaka.com. ↑ "Muzium Melaka akan dibina di China". sinarharian.com.my. 19 March 2015. ↑ "Malacca medical tourism hits over 500,000 tourists seeking treatments - Community - The Star Online". thestar.com.my. ↑ Administrator. "Company Profile - Powertek Berhad Group". powertek.com.my. ↑ "Malacca unveils draft plan for solar valley". themalaymailonline.com. ↑ Super User. "Melaka World Solar Valley". melakagreentech.gov.my. ↑ Super User. "Latar Belakang". samb.com.my. ↑ "RM190m Jernih Dam scheduled to be completed by 2018". thesundaily.my. ↑ "Mengambil iktibar daripada pengurusan air Melaka". themalaysianinsider.com. ↑ Star Media Group Berhad. "Malacca to start water rationing after Mar 29 if dry spell continues - Nation - The Star Online". thestar.com.my. ↑ "Learning efficient water supply management from Malacca". The Rakyat Post. ↑ khalid. "RM190 Million Jernih Dam Scheduled To Be Completed By 2018". MyNewsHub. ↑ "Understand the 'Don't mess with Melaka' campaign". thesundaily.my. ↑ "Bus from Singapore to Melaka - BusOnlineTicket.com". BusOnlineTicket.com. ↑ "Jumlah pelancong ke Melaka meningkat 5.03 peratus". Utusan Online. ↑ "UNESCO gives a new breed of life to tourism in Melaka". traveldailynews.asia. ↑ "PERZIM - Background of PERZIM". PERZIM. ↑ Super User. "NIGHT MARKET". emelaka.gov.my. ↑ "'Tahun ini terlalu mahal'". HM Online. ↑ "Melaka information centre will be developed in China, says Idris Haron - Business News - The Star Online". thestar.com.my. ↑ "Perasmian Galeri Melaka". dmdi.com.my. ↑ Al Amin (22 February 2013). "Ada Galeri Melaka, Jokowi harap turis Malaysia banjiri Jakarta". merdeka.com. ↑ "Malaysia Dirikan Galeri Kebudayaan di Jakarta - Tempo Metro". Tempo. ↑ Kompas Cyber Media. "Melawat Melaka Lewat Galeri Melaka". KOMPAS.com. ↑ "Lisboa - Geminações de Cidades e Vilas" [Lisbon - Twinning of Cities and Towns]. Associação Nacional de Municípios Portugueses [National Association of Portuguese Municipalities] (in Portuguese). Retrieved 23 August 2013. ↑ "Malacca wants to revive monorail line to promote river". AsiaOne. ↑ "Ferries to Malaysia-ferries from Indonesia". Tourist Attractions in Malaysia. 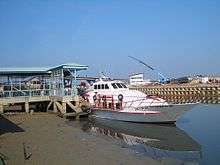 ↑ "Malaysia Truly Asia - Tourism Travel Information Guide: Merlimau Pantai Jetty - Jetty Nelayan Merlimau Pantai". songketmail.org. ↑ "Longer runway and international port for Malacca". Free Malaysia Today. ↑ "Trishaw or Beca rides in Malacca town". yinteing.com. ↑ "7 Hollywood Movies Filmed in Malaysia". Expat Go Malaysia. ↑ "10 Movies You Didn't Know Were Filmed In Malaysia. Spot The Bas Sekolah!". Says.com.